My grandfather passed away last week. It was a good thing. He was 100! Quite a feat in itself. Even better, he was really healthy up until this last year. He was on a steady physical decline for a few months. His mind was as sharp as ever! It was peaceful for him. We said good bye and wished him well. I, on the other hand, am not feeling so peaceful. I usually help people through this process. I am now on the other side of unavoidable anguish. Grief is the emotional process one goes through when there are changes in life. We have to grieve what we lose when we change. This can be simple, like moving from Elementary to Junior High. You still have your friends (usually). It is just an adjustment to more classes, teachers, lack of recess. It doesn’t really seem like grief, but it is. You miss things you are not experiencing anymore. The new things can consume you and make the process easier. It could also be a major adjustment, like a family member dying, a new baby, or getting married. We grieve the loss of singledom or coupledom when our family grows. When we lose something precious and do not have a replacement (which can not happen with a loved one dying), the grieving feels painful. It becomes a process of reconciliation. How does this hole, that once was a person, fit in my life now? How do I reconcile the loss of a grandfather who has always been there. I can not remember a time when he wasn’t part of my life. I don’t grieve for him. I grieve for me. I have to allow the sadness and anger to run through me. People have different ways of grieving. They rely on God, family, or friends. What really needs to happen is permission. Give yourself permission to have ALL those feelings. Whatever comes with grief, allow it. Feel sadness and cry. Feel angry and yell or punch a pillow. Let it come. The only way to “get past” grief is to travel through it. There is no way to avoid the process. You will just get stuck there. Write your feelings down, create a memory book or page, have a wake for your loss. See grief as the process, adjustment and reconciliation of the changes rather than the loss. I am a forward thinker. I am always looking for the next adventure, be it a sports event, family outing, vacation, or how to improve my practice, home or relationships. I need to be moving forward. I have been stuck before. It is the feeling of nothingness, blah, lethargy, ho-hum-itude that is slightly uncomfortable, like sitting in the same place for too long. Yeah, stuck. 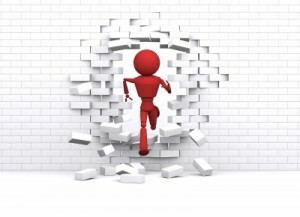 There are lots of ways to get stuck, in your job, relationship, financial situation, etc. I will be talking about your life. Well, I guess that actually includes everything else. A lot of people are what I call “survivors.” Survivors are people who merely tolerate life. They have whatever job they can get (if they have a job), put minimal effort into their surroundings, relationships or self. They are just wasting time until it’s over. There is little meaning in life. If you are reading this, you are not one of those people or would like to not be one of those people. You are looking to make a difference! How does that happen? How have I not been on vacation for 5 years, eaten at the same restaurants, same meals, same activities, same, same… You might be bored. Getting unstuck can be tricky. You are in a rut in life, one you created. So, examine the situation. How is my life? Do I like my job, my relationships, my home, my friends, my hobbies? Literally list it all out. What is good and bad and just okay. What might make things better? Is there something I can do today, or plan, to make some changes? Do I need to shake up the routine, reorganize, plan some different activities, make new friends? One of the most important questions you might ask would be “Am I in control of my life?” Many people take whatever life throws at them, letting it control them instead of them controlling it. Are you making choices that are yours or do you just roll with the punches? I have an excellent example. A man who never finished high school. He took several construction and manual labor jobs and finally ended up with a home repair gig. He married the first girl he got pregnant, because she was pregnant. He went to work, came home, watched the kid, went to bed. He was miserable. Though, he pretty much has never been much else. He changes and makes decisions when it is forced upon him, like a pregnancy, job loss, etc. He never made a proactive decision. He is not in control. He has no idea what might make him happy, because it just hasn’t happened yet. This is as stuck as you can get. You might need some help figuring out how to get unstuck. I see a lot of people in my office complaining of feeling nothing. They think they might be depressed because they don’t sleep well, have little energy, are uninterested in doing things, have no motivation and generally unhappy. It might not be depression, you might just be stuck. Find someone to help you out. I have noticed a lot of self help books on the subject too. 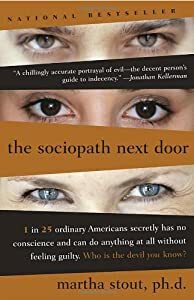 I am reading a phenomenal book, The Sociopath Next Door, by Martha Stout (everyone should read this). She was talking about the 13 signs of sociopathy, which everyone should know. Sociopaths take advantage of people in any way possible because they have no conscience. They appear to have empathy and emotions like everyone else, but they don’t. People are players in their world. They only care about themselves. Really, truly, they only care about themselves. #3 on the list was about lying. You can apply to this rule anyone, not just sociopaths. Lies hurt people. Lies hurt, betray, hide secrets, and steal love and trust. They are no good! Liars only use lies to get out of trouble (for the most part). The after math is irrelevant. Leave the Liars to their lies. Nearly all of you have had some experience with a liar on some level, friend, spouse, coworker, neighbor, even family member. I don’t think that all liars are sociopaths, but they are liars. The lying won’t stop because you ask or you are special or they get caught, arrested, humiliated, anything. They will just keep lying. Save yourself the heartache (over and over) and just leave…. Since I just returned from vacation, I thought I would write about the virtues of taking one. Actually, vacations do have healing power. There are two important aspects to this healing that I will focus on, bonding and relaxation. The Bonding aspect refers to the time one spends with family, important people, or eventhemselves. Often in life we get very busy with all the daily “stuff” that needs to be accomplished: working, cleaning, shopping, caring for kids, etc. Relationships can be easily pushed to the back burner or left on the couch. We call watching TV together “quality time” because are just too tired to put much effort forth. This can go on for so long that it becomes usual. Vacations put a stop to the “usual” of life. It causes major disruption in our routine. Which is the point. It is the time to get away from the grind and enjoy ourselves and our loved ones. Vacations in any form should have you spending real quality time in face to face conversations, talking about your feelings and future together, enjoying activities as enrichment and bonding. It can be quite difficult to carve out some really good quality time for all of this with your family or loved ones. 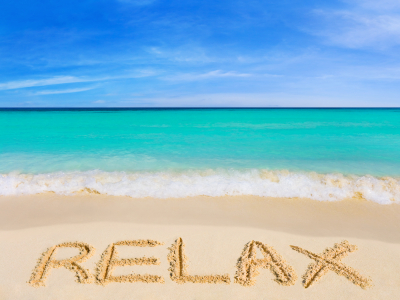 The Relaxation aspect refers to taking time to destress, let go of the worries and daily concerns in exchange for giving your self healing time and energy. As well as being distracting, daily stuff can also cause significant stress. Keeping track of money, kids, spouses, and laundry can be tedious. Not to mention your job, the giant to do list, your angry sister or neighbor, and your own negative feelings. Stress impacts us endlessly and in various degrees. Stress also has a cumulative effect. If it is not managed regularly, it builds up and impacts us emotionally, physically, psychologically and relationally. Vacation allows us to let go of the daily stuff is a psychological sense. I choose (and recommend to others) to take vacations away from the house so as not be tempted to do any kind of housework or other projects that may call while at home. I like to have no obligations in a vacation for the purpose of relaxing. The main advantage of vacation would be the removal of the stressors. You may choose any other activity you like to relax while on vacation, reading, sleeping, touring, riding, sight seeing, etc. Those are added benefits to increase your enjoyment and decrease your stress. Note, a vacation does not have to be expensive, far away, exotic, or long term. It can be whatever it is that physically takes you out of the daily grind to spend quality time with loved ones. It should not increase your stress burden by taking more time or money than you have to give. I work with many couples. One of the most frequent happenings in a troubled marriage (read committed relationship) is that they take sides. It starts to be “me against you”, the finger pointing, blaming, shaming, guilting, etc. It all leads to distance, emotional and physical, which leads to resentment. Here is a tip, which might sound easier than it really is. Basically, partners need to remember they are on the same TEAM. The same side, going for the same goal, headed in the same direction. Hold hands and face the world TOGETHER. It is about US against the world, not each other. However, how does that help trouble INSIDE the marriage. Aha! Take that TEAM principle and apply it to everything. For example, money issues (common problem in marriages). Take the budget and tackle it as US against the BUDGET. The problem should be outside of the team. Literally put it on the table. What do WE need to do to make it work. The collective “we” shares blame and does not shame. No finger pointing or judging. Here is the budget, how do we make it work together? If one person is overspending, address it as “It seems we overspent on food this month. How can we fix it?” If one person is having trouble staying on budget, ask for help. “I am having difficulty sticking to this plan. Can you help me figure it out?” You are both on the same team. This is mostly about using team oriented language and how you view the relationship. Avoid language that blames, like sentences that start with you. If you find you are having a lot of difficulty with this concept, you might need more help from a professional, book or class.